On this "Necklaces" page you will only find genuine Venetian Glass Beads and authentic Murano Glass Necklaces. 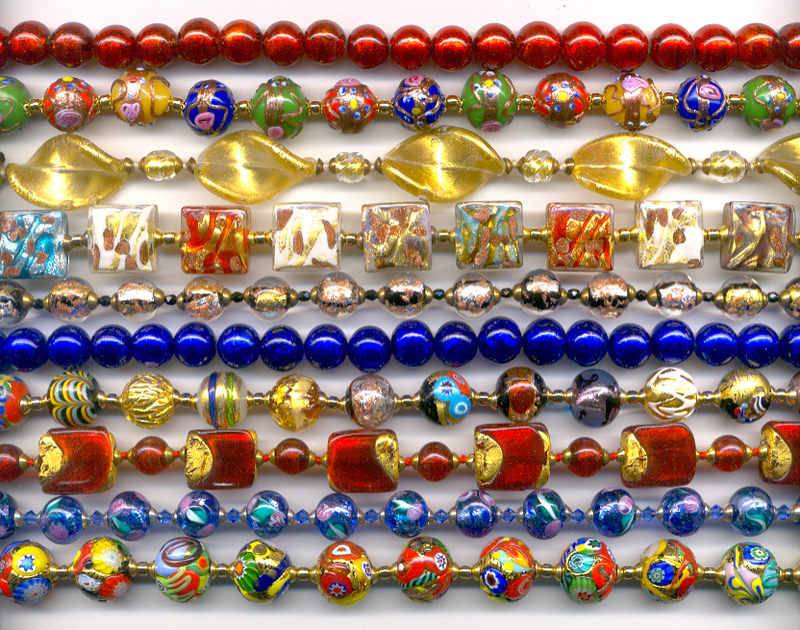 Since 1976, we have only designed and sold genuine Murano Glass, and Venetian Glass Beads. We do not sell the copies or the fakes made in China, or India, or the Czech Republic.